IN a chilling prophecy of his tragic fate, shark attack victim Peter Clarkson was fearful of coming to the ocean's surface every time he dived for abalone. 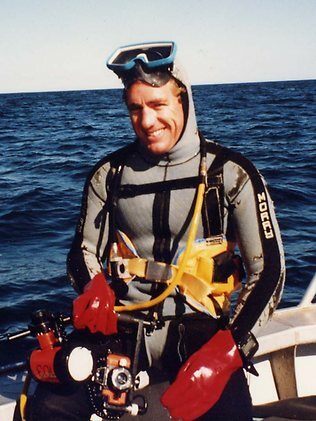 An experienced diver, Mr Clarkson, 49, who last night remained missing and was presumed dead after Thursday's attack, told neighbours he felt "totally safe" on the bottom of the ocean while harvesting the lucrative seafood delicacy. But Mr Clarkson, who advocated the use of shark shields - devices emitting an electrical pulse to fend off sharks - and cages to protect abalone divers, spoke of his fears of surfacing from the depths to unload the catch into a boat. Sadly, it was when Mr Clarkson was surfacing from the depths south of Perforated Island near Coffin Bay, where he was mauled by two Great White sharks. Experts say the double shark attack on Mr Clarkson, which was witnessed by skipper Howard Rodd, was a one in 10 million occurrence.